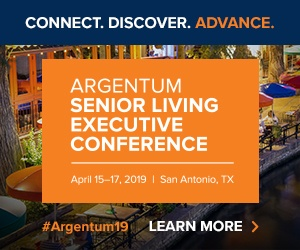 Two regional senior living operators that have shaken up their executive ranks in recent months made moves to bolster their companies’ cultures and training programs this week. Civitas Senior Living promoted Misti Powell to the role of chief people officer. Powell, a co-founder of Ft. Worth, Texas-based Civitas, was most recently the company’s senior vice president of operations. Civitas operates 38 communities in five states, with another 17 communities under development. This is a newly created role as part of Civitas’ ongoing focus on a positive, people-first company culture. She will continue to oversee employee training, activities, overall resident experience, memory care training and application, and implementation of the company’s signature Passion Program. Powell’s new role is the latest in a series of executive moves at Civitas. The company named Misty Miller chief wellness officer last September, and Nathan Bowyer was named chief information officer last December. Both positions were newly created roles. Ecumen, one of the nation’s largest nonprofit senior living providers, hired Melanie “Mel” Sullivan as its chief people officer. Based in Mankato, Minnesota, Ecumen operates 40 communities in eight states. A 30-year health care industry veteran, Sullivan was most recently at Minneapolis-based Constellation, a collective of medical insurers and health service organizations dedicated to improving the delivery of health care and providing effective business solutions to group practices, hospitals and long-term care communities. She is an adjunct professor at the University of Minnesota and the University of St. Thomas, in the areas of health management and master of business administration–health care. Sullivan will report directly to Ecumen CEO and President Shelley Kendrick, who assumed the role last January.